Could you please visit the above site every Sunday and share your time with me- Ayo Ayoola-Amale on Peace & ADR. I hope you haven’t missed any article. If yes, please you can find the Articles by visiting the Nigerian Pilot Archive section. Peace means the celebration of beauty and virtue. Peace is to live life in full. Peace is to live the true life. We each must together nurture and strengthen the bonds of humanity through communication. We must allow love to flow into our heart to enable us show empathy, compassion and understanding to others through the words we use when communicating. Love has its language. Love has power. The love in our hearts should guide our words.The understanding in our voice should be soothing to the person we are communicating with. Our body language should speak calm and console the soul. We are present in what we say. We are present in what we fail to say. We are present in what we do. We are present in what we fail to do.The beauty in our soul could bring healing. The warmth in our heart could bring renewal. The light in our words could bring harmony. We must create harmony within. We must create harmony in the way we think.We must create harmony in the way we communicate. We must create harmony in our attitude towards others. Let our words be wellsprings of upliftment and inspiration to others. We must reach for wholeness. Let our words be moonlight. Peace is beauty in all things.- Ayo Ayoola-Amale. The growth of humanity can only be sustained if there is peace. The Global Peace Science is the clear path to durable peace. We call on all leaders globally, and all the citizens of the world to support Global Peace Science. We call on the Global leaders G20 to support and create Global Peace Science. 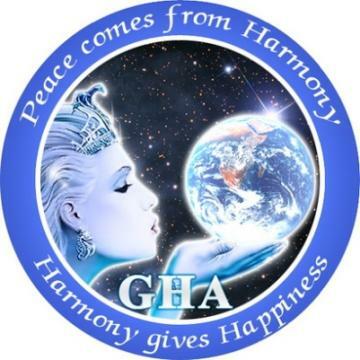 We implore you to please sign the petition to the Global leaders and governments around the world to create GLOBAL PEACE SCIENCE (GPS). To sign the petition to the G20 PLEASE VISIT :www.peacefromharmony.org/?cat=en_c&key=582 It is also on our website main page under the title: “PEACE SCIENCE FOR G20” visit : http://www.peacefromharmony.org LET US ALL BE A VEHICLE OF PROFOUND PEACE AND HARMONY. My deep gratitude and many blessings to you all.